The page for Hard Rock Café menu prices. Hard Rock Café is a chain of music-themed restaurants serving authentic American dishes with a Southern focus plus local favorites. The menu consists of classic entrees, juicy burgers, ribs, BBQ chicken, steaks, and sandwiches. Guests can also choose delectable desserts or handcrafted cocktails and ice cold beer. Kids are welcome at Hard Rock Café and get to choose from their own special menu. Below are the latest Hard Rock Café menu prices. Connect, follow, and share with Hard Rock through various social media platforms. With an online community topping 14 million, be sure to stand out if you want to be a rock star! Now guests can make seating requests ahead of time so waiting in line is not required. Guests request priority seating online. Same day seating is not available. Get all the specifics online at the official Hard Rock website. Be the ultimate Rock Star and get your hands on unique Hard Rock apparel, glassware, pins, and collectibles. The Rock Shop(R) carries items for men, women, and kids. Guests can order items online or at a Rock Shop(R) located at their favorite cafe or hotel. No matter how you look at it, being a Hard Rock Rewards member makes you a Rock Star. Joining is simple & FREE. The rewards are AWESOME! By becoming a Rewards member, guests benefit from unique Hard Rock experiences, insider news and special offers, dedicated check-in at Hard Rock hotels plus earn points with qualifying purchases towards reward coupons. Get all the details at the official Hard Rock Café website. Hard Rock’s unique concept will make your next group meeting or event a resounding success. With multiple locations to choose from, unmatched resources, specially designed menu choices and experienced staff, your next event will go off without a hitch. Contact the specific location for more details or head over to the Hard Rock Café website to learn more. Hard Rock Café’s rock and roll memorabilia started in 1979 with Eric Clapton’s Red Fender II, who was one of their patrons in London. Pete Townsend of The Who followed suit, and other famous rockers like Jon Bon Jovi started donating also. Today the Hard Rock Café is in possession of some 77,000 items scattered throughout its various locations around the world. Deep Purple launched their album “Rapture of the Deep” at the Hard Rock Café London. Since its founding, Hard Rock has always been committed to helping and supporting the communities in which they operate all over the globe. Hard Rock supports causes related to humanitarian help, environmental issues and entertainment industry causes. Hard Rock partners with several not-for-profit organizations around the world to meet their philanthropic mission. Learn more and get all the details on the Hard Rock website. With such a unique history and culture, Hard Rock looks for potential candidates that are hardworking trailblazers with a passion for music. As a global brand that consists of cafés, casinos, hotels, and live music venues, candidates are sure to find a career they will enjoy. The best place for candidates to start their search is to visit the Career page on the official Hard Rock website. 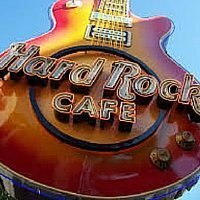 There, candidates will learn about the history and culture of Hard Rock plus get to browse all the current opportunities and apply if interested. The restaurant was founded in 1971 by Americans Peter Morton and Isaac Tigrett in London. They were searching for a place to have an authentic American-style burger. They could not find a place so they decided to start their own restaurant to serve burgers. The concept was a quick success and the chain expanded rapidly. In 2007, the chain was purchased by the Seminole Tribe of Florida, with its main HQ in Orlando, Florida. Today, there are 157 cafes, 22 casinos & 11 hotels spanning 59 countries. For more information about Hard Rock Café, please visit their official website.